Hi everyone! Hope you're having a great Saturday. 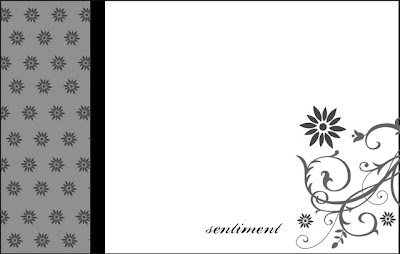 :) I created this card using the Fall-to Layout # 79. I had so many ideas running around my head for this one, but ended up keeping it really clean & simple. 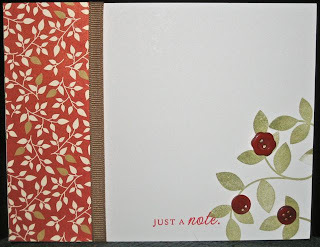 The flower image was stamped in Versamark ink, then heat embossed with white embossing powder. 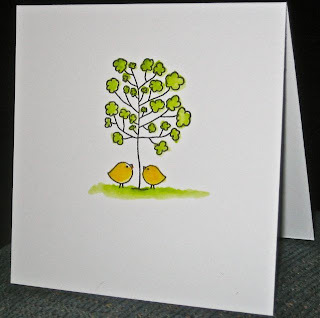 I just had to share this quick card and a bit of Spring! I colored this with water color pencils and an aquabrush. 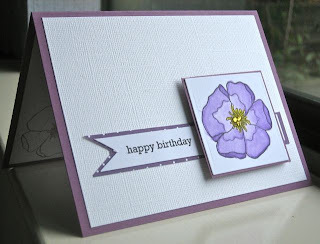 Create 3 1/2" x 6" card base using white CS. 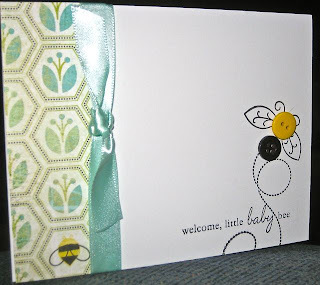 Cut 1 3/4" strip of patterned paper and adhere to card base. 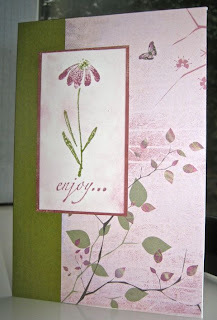 Stamp pink leaf image and brown sentiment on card base. Add ribbon and tie bow. 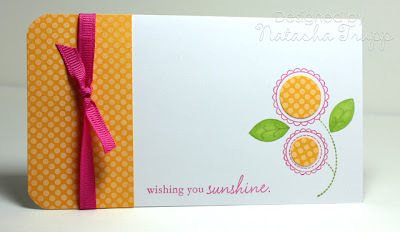 I was so happy with how Tuesday's sunshine card turned out that I decided to make it this week's sketch! 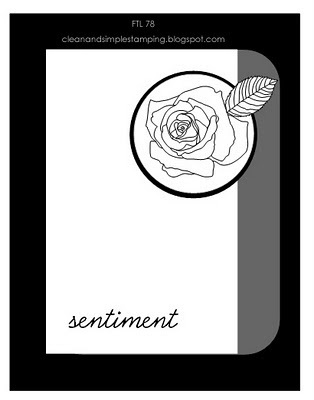 The sketch was designed to be 6x3.25, but feel free to make it standard card sized! Also, a huge thanks to everyone who participated in last week's FTL! It makes me so happy to know that so many people find inspiration in the sketches! 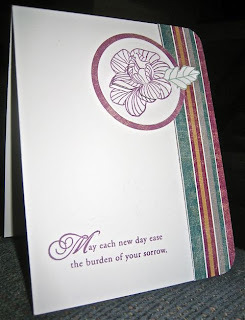 I decided to do quite a different theme for my card. 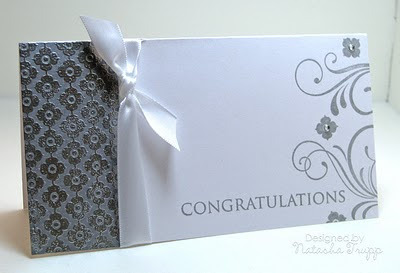 I chose silver and white as my colour scheme and embellished with silver embossing powder, satin, and rhinestones. If you decide to play along, please leave a link directly to your post! Thanks! 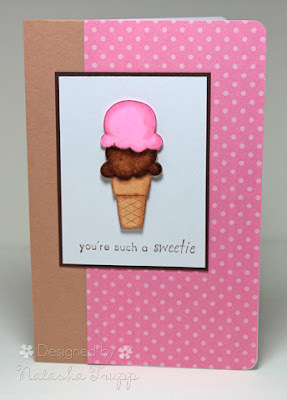 This card was created using Friday's Fall-to Layout #76. 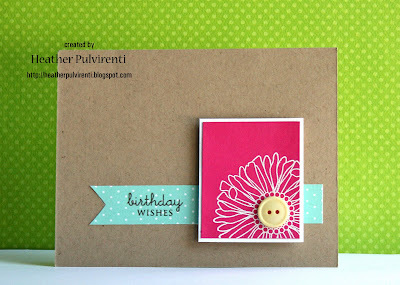 The cupcake image was created by Heather Nichols for Papertrey Ink's 3rd birthday celebration. It originally had a candle on top, but it didn't look quite right extending outside my white square, so I trimmed it off and added a pink rhinestone in its place. 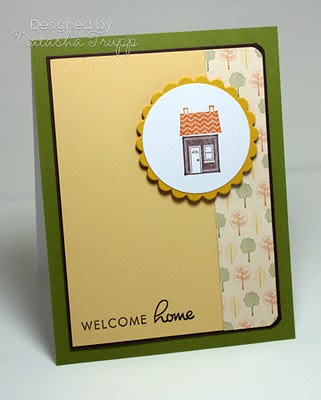 Create A2 card base using teal cardstock. 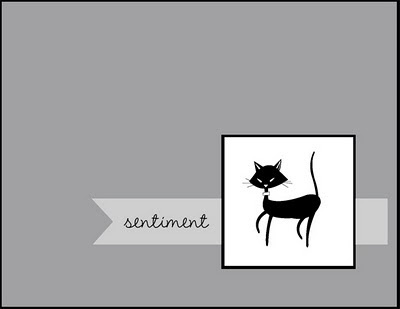 Stamp sentiment in brown ink. 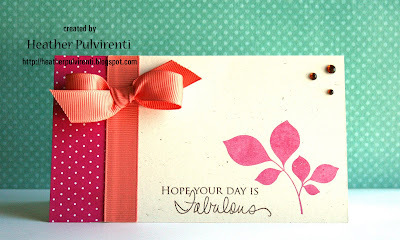 Attach pink ribbon to card base and tie knot. 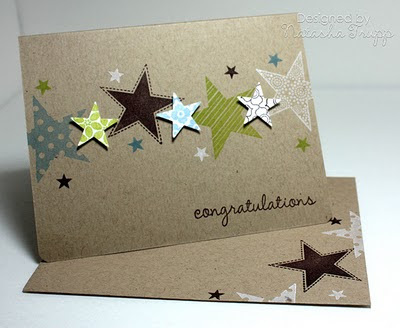 Run a scrap piece of white cardstock through Cuttlebug and emboss with dots. Cut into four 1" square pieces. 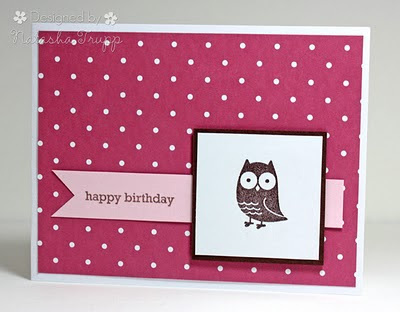 Adhere squares to card base with pop dots. 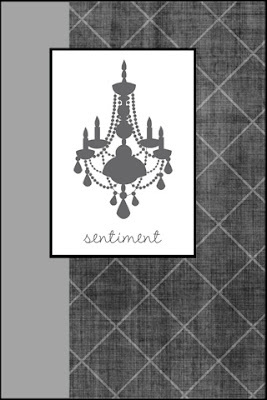 Print digital image and trim off candle and plate. Adhere rhinestone. Attach cupcake image to top right square.